With its long, slim head, this angle grinder makes itself ideal for every process from cutting, rough-machining, grinding, to precision polishing and carving wood, even parting. 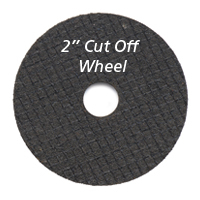 Each tool comes with a corundum grinding disc (60 grit), a fan sanding disc (100 grit), and a reinforced cutting disc, to get you started. When the power is switched off, all moving parts stop in less than one second, convenient for fine work. Workers fitting saw blades to angle grinders and using them as cutting tools. The blade saw can jam or kickback (the disk thrusts back towards the user) and the exposed blade can strike the operator. The blade’s teeth or hardened tips can also become projectiles if they detach at high speed. A worker was seriously injured while using an angle grinder fitted with a tungsten-tipped saw blade. The angle grinder was being used to cut a hole in the top of an aluminium fuel tank when the saw blade jammed, causing the angle grinder to kickback onto the worker. are not fitted with sufficient guarding to protect the operator if the blade jams, disintegrates or kicks back. rotate at faster speeds and generate greater torque than power saws. Using a safer alternative method of cutting for the task (such as a power drill, reciprocating saw, jigsaw with an aluminium blade or a purpose built cold metal cutting power saw). Wearing adequate eye and face protection when using an angle grinder. Hearing protection and flame-resistant clothing should also be worn. 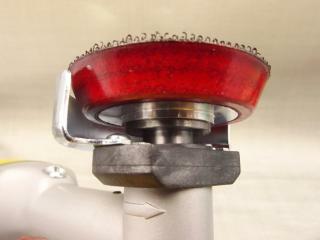 Be adequately trained in the safe use of angle grinders. 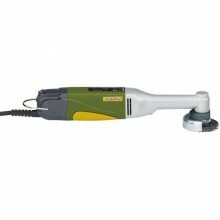 Used for de-burring, grinding, sharpening and derusting steel and non-ferrous metals. Ø 50mm. Used on hard materials such as glass, stone, ceramics and even hardened steel. Ø 50mm. 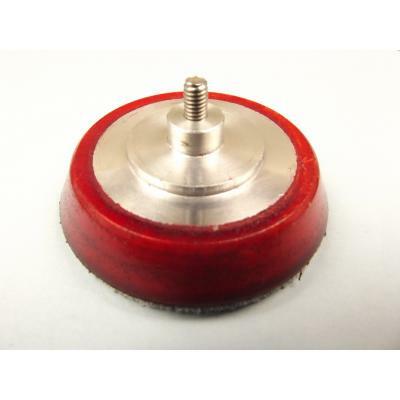 For grinding tempered cast iron, cast iron, stainless steel, non-ferrous metals, wood and plastic. Low wear-resistant. Ø 50mm. With woven reinforcement, 50 x 1 x 10mm. For cutting steel, non-ferrous metals, plastic and wood. Ø 50mm. Self-adhesive type, for use with corundum bound sanding discs and sanding fleece. Ø 50mm. Self-adhesive type, used on flat and convex surfaces. Ø 50 mm. 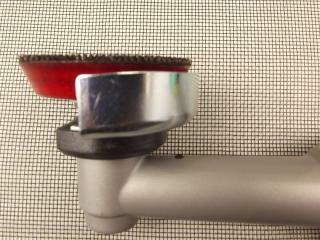 Self-adhesive type, used for cleaning, matting and sanding of steel, stainless steel and non-ferrous metals. Also used for paint removal. Ø 50 mm. 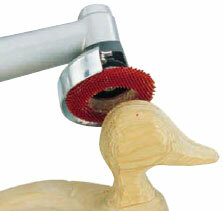 For model-making, cleaning and smoothing of wood, plastics and glass-fibre reinforced objects. No expenditure of effort is needed, easy and precise handling. Not suitable for metal processing. 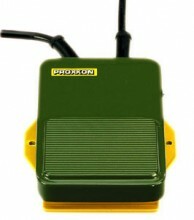 Click the button below to add the Proxxon Long Neck Angle Grinder LHW #28547 to your wish list.